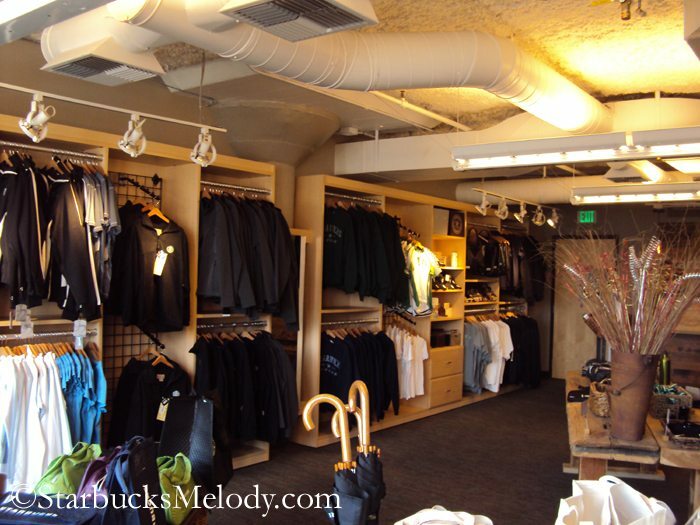 The Coffee Gear Store is the merchandise store located at the Starbucks headquarters at 2401 Utah Avenue South in Seattle. I’ve written about this store in the past, but it’s been a while, so I thought it would be nice to have an updated article of what’s new. As a reminder, the Coffee Gear Store is open to the public, and is open Monday through Friday, generally normal business hours. It’s closed weekends and holidays. 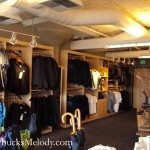 I dropped by this store today (January 26, 2012) because I was curious to see what was new since the last time I visited. John, who works at the store, told me to keep an eye out for St. Patrick’s Day Starbucks shirts coming soon! Apparently there will be a few holiday-themed t-shirts this year at the store, with production being less than 200 shirts for each of the holidays. There will be a July 4th and a Christmas themed limited production shirt too. 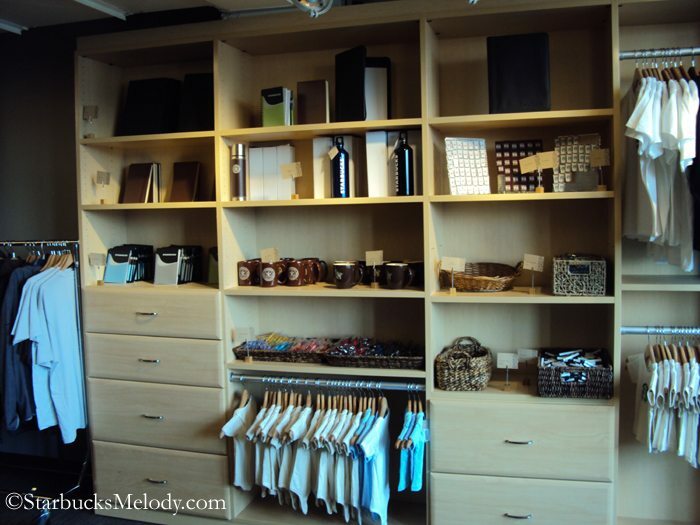 I am including a few more photos below of the store, and merchandise found inside. What would you want to buy or wish they would carry? The funny thing was that today I tried to control my spending at the store, and walked away with one small bag, largely full of gifts for others. I ended up wishing I’d bought more! Thanks for sharing Melody. 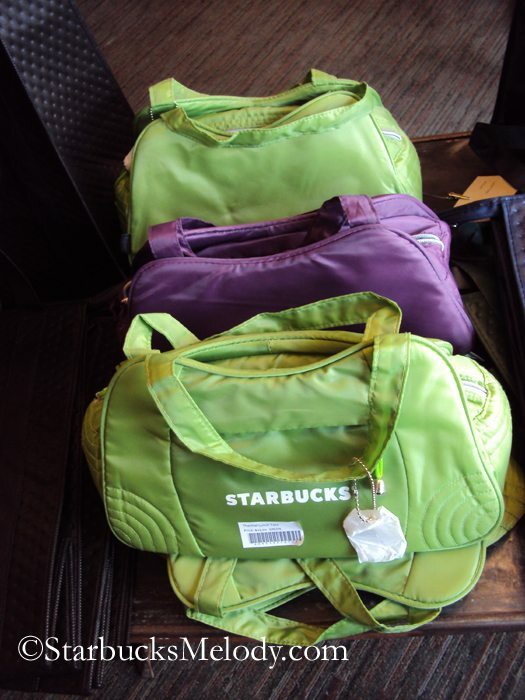 I also love the brightly coloured lunch bags! The white jacket looks nice too. I like the idea the St Patrick’s Day shirt, which is odd because I’m not Irish. But it’s still fun to wear something for the day and I just have a feeling it would be really cute! I would definitely have to buy a shirt of some kind. 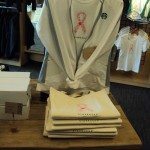 Are most of the shirts they sell unisex t-shirt sizes? Or is there a ladies and guys selection of shirts too? I’ve got to visit one of these days. A lunch tote would be useful! Melody too bad they do not have these stores throughout the country. Interesting question about what I would like to purchase? I have so so many canvas bags I doubt I would buy another one. I might buy an accessory for my iphone or a really unique tee shirt. Pics are great. considering the gigantic VOID of almost all merchandise is most stores that I see, and have heard the same for other parts of the country….I really think they could put a few (maybe non-clothing) items around in stores. Valentine’s day this yr is especially lacking. and, offer the rest online. Just have an online site for this store. ??? doesn’t seem that would be so difficult. 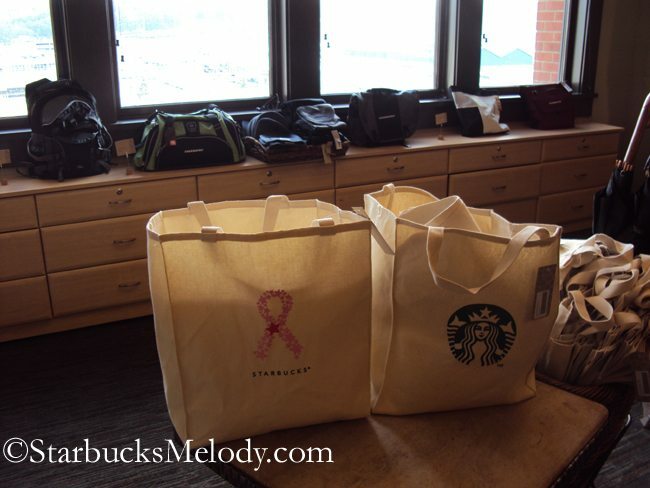 @purple1 – Lots of large businesses at the scale of Starbucks have a merch store at their headquarters but nowhere else. The Ben and Jerry’s store is supposed to be an incredible in terms of the amount of stuff you can get. 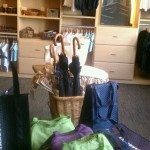 @DeniseR – Have you looked at Kaori’s blog? It’s the bucked by the star blog in my blog roll. I mention it because her most recent blog post has some of the Japan Valentine’s Day merchandise and it so fantastic! Japan got some really cute mugs and tumbler that we didn’t get. 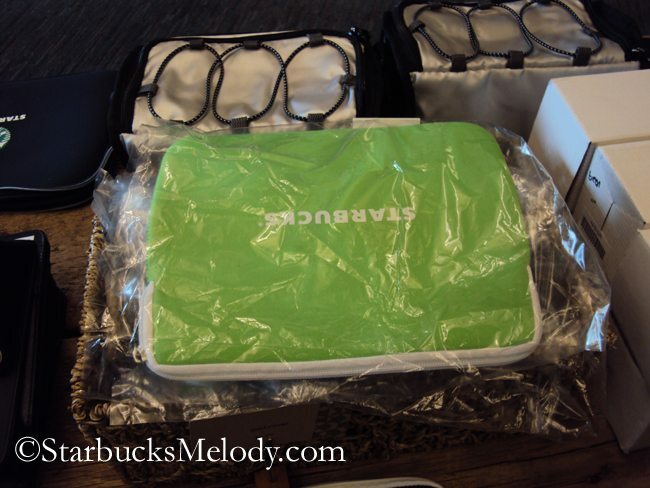 I think that Starbucks is toying with the long-term idea of putting some of this above merch on an online website – perhaps to launch the website late summer. But it’s only gossip at this point. Please don’t hold your breath! @Lori – See the comment above you too. At least right now, there is no online website. Sorry. 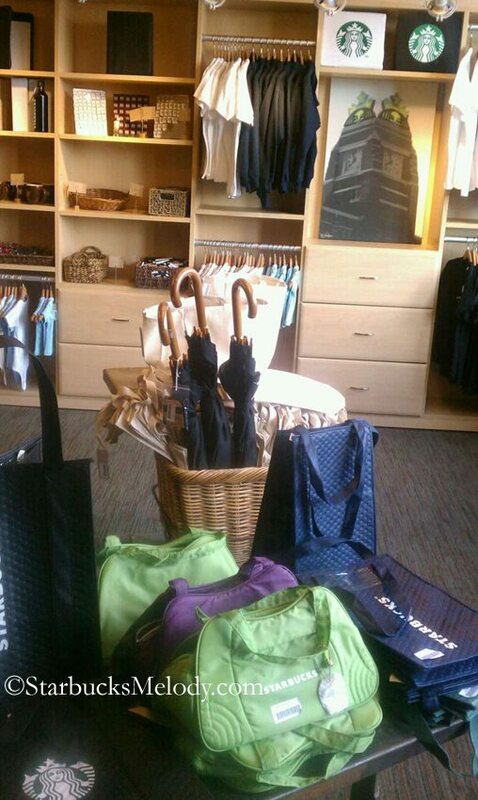 Well, I love the stuff in the store and am sad that I will probably never get to Seattle to see it. That’s a long way from Indy. I just don’t understand why the local stores have so little merchandise anymore. It was kind of exciting at Christmas but now just blah again. I love the items that Japan gets too. I always look on ebay to see what they have there but will now check out Kaori’s blog instead. 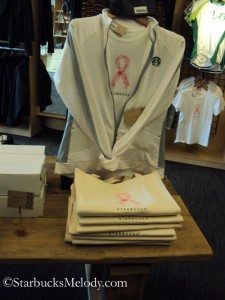 I was looking around at the merchandise at my local SB this morning and I have to say all the merchandise looked so pedestrian and it would be nice if they took some of the gear from this store and placed it in the retail stores. 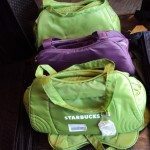 @Purple1 – I totally agree that the merchandise is lacking. It must’ve been easier to come up with merch when the business was smaller. Now since HUGE amounts of product must be ordered to supply 12k stores in the US, if something is a flop, it costs the business a lot more than when there were half as many stores. But the merchandise has been very uninspired for a couple of years now. The most creative thing I’ve seen in a long while was the Huxley Book and mouse. That was original, and cute. 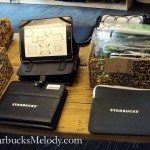 If you dig through this link – http://www.starbucksmelody.com/category/starbucks-merchandiseretail/ – And it definitely takes some digging, but in the past I’ve featured the Valentine’s Day merch box, Limoge Box, Snow Globe, and just so much very very creative merchandise. 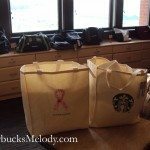 I just wonder if the size of Starbucks is killing the great merchandise. 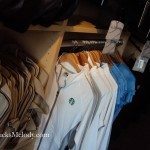 Even with the merch store featured in this article, the one thing they could really do to improve it would be NOT to just buy shirts and jackets and throw the logo on it, but rather create some unique mugs, merch, or designs based on coffee themes, or old Starbucks imagery, and the like. The cofffee-inspired magnets that I featured in an older blog post were FANTASTIC and would sell in the stores and be a good fit, but this time at the merch store, I didn’t see them. There is so much opportunity in the world of merch! Thanks Melody and yes, yes and yes so agree with you. If there were some unique and creative merchandise in the stores I would certainly purchase it. I could see a tee shirt with those coffee stamps on it for sure. 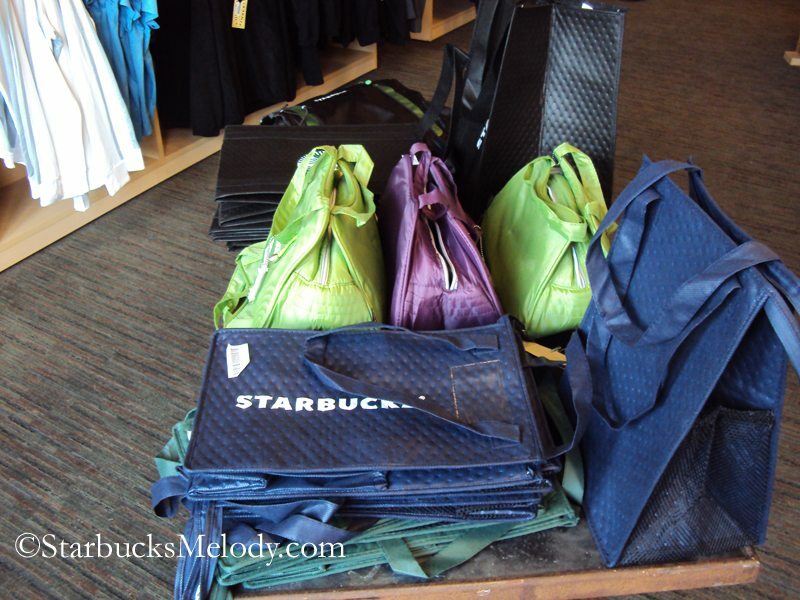 I totally remember some of the blog posts where you wrote about merchandise. Too bad SB was not listening. I have no insider information about this, but I wonder if it wouldn’t be cost effective to vary too much from the merchandise we already carry. 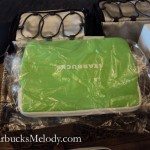 My thinking is that Starbucks has their current suppliers, which supply us with mugs, and whatnot that are coffee/tea related. To come up with something unique (thinking magnets, shirts, coasters (why don’t we sell coasters?? 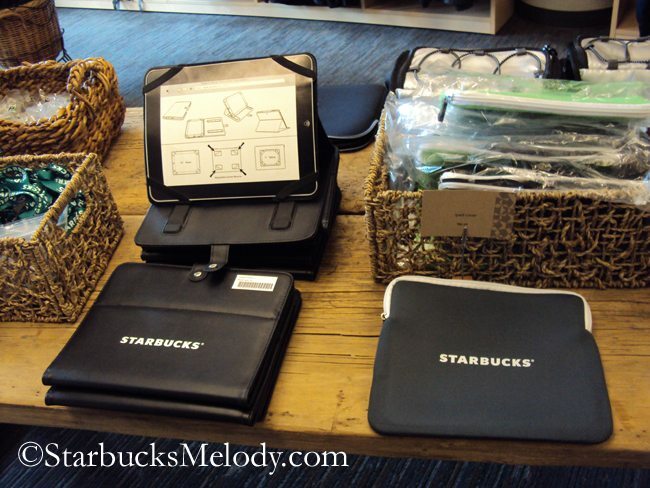 ), iphone/pad accessories) we’d likely have to find a new supplier who we may not already have a relationship with. I may not be wording this clearly, but I’m thinking that once you add markup to these unique products it might make the products cost more than people would be willing to pay. IF ANYONE IN SEATTLE WOULD BUY THE STUFF FOR ME, I WOULD GIVE YOU A LIST AND MY CC INFO. 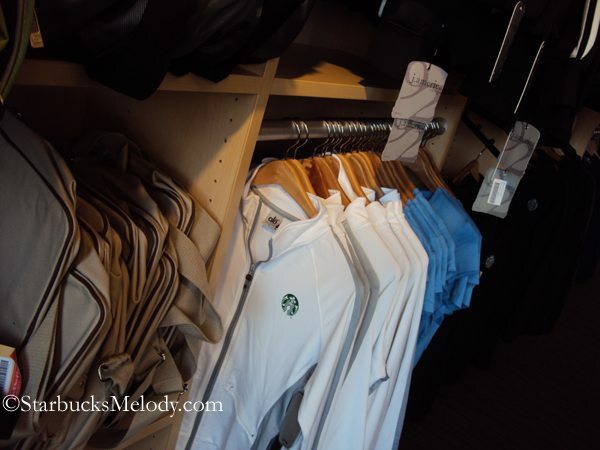 I don’t want you to think that I am ignoring you, but I want to let you know honestly my thinking about the idea of shopping for someone at the Starbucks Coffee Gear store. The first challenge that I have is that this store is only open Monday through Friday, normal business hours. That is exactly when I am working. 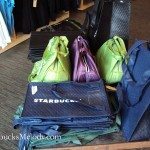 I generally try to get to this store on a holiday that I have off but Starbucks does not, or I burn a day of vacation to get to the store. As a result, I really only drop by this store about once every 2 to 3 months. That’s not a routine where I am comfortable just taking a list and going shopping for someone. The other issue, and this is just me, I would NOT take someone’s credit card info and just use someone else card. No way. That’s me. I won’t do it. If I were to actually shop for someone at this store, and in exchange were to take a payment, I would hope someone would paypal me the monies. But as it stands right now, I never have gone to the store with a specific shopping list for someone, and due to the challenges that I have in getting to it, I don’t see that being something that i might do. And lastly, I am stressed for time. I’m sorry to dash your hopes on this. In fact, the next time I get to this store might be President’s Day, since I think that is holiday for my office, but not Starbucks. We’ll see. Nothing is certain. Put this on your list of places to see if you come to Seattle, Tim!